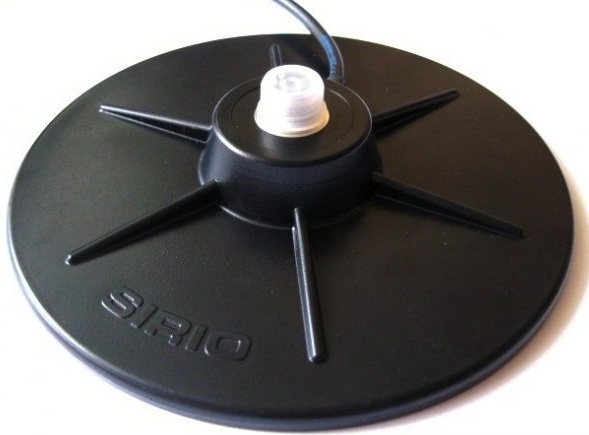 Dual-band marine antenna conceived for CELLULAR systems working on GSM 900 & 1800 MHz, DCS 1.9, DECT and UMTS. All metallic components are made of chromium plated brass and stainless steel to improve its strength. It's inserted in a glass fibre tube for a perfect protection against the worst sea climates. 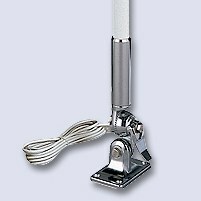 It can be supplied with the following fixing mounts: “M-3” adjustable mount of chromium plated brass, “M-8” adjustable mount of white nylon and “M-10”adjustable mount of chromed plated brass.